Cultural highlights, Bavarian hospitality and unlimited outdoor fun – Lake Schliersee is the perfect starting point for your holiday in Upper Bavaria! Comfortable valley hikes and sporty mountain tours, a visit to the bathing area and cool stand-up paddling with the family, enjoyable cross-country skiing and fun on the slopes – diverse and something for everyone! Lake Schliersee offers countless possibilities in the smallest of areas. 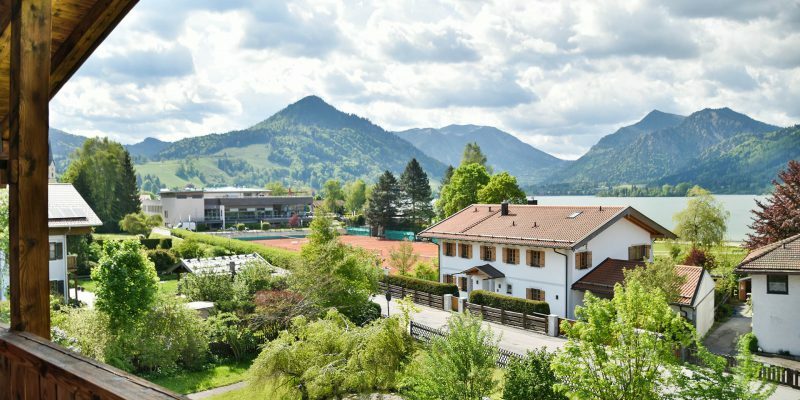 You will find more holiday highlights in the direct vicinity of Lake Schliersee. Visit Lake Tegernsee nearby and experience the lake and forest festivities season or explore the Schlierach-Leitzachtal around Bayrischzell and Fischbachau and enjoy the view from the summit of the Wendelstein. The northern part of the Miesbach district has much to offer – Holzkirchen, Irschenberg, Miesbach, Hausham and Co. invite you to spend some time with cultural highlights and lovely hiking and biking trails. Munich, Bad Tölz, Lake Chiemsee or nearby Tyrol are also worthwhile destinations. Explore sights such as the Frauenkirche and the lively Viktualienmarkt in Munich, Castle Herrenchiemsee, or follow in the footsteps of the “Bulle von Tölz”.